The NILFISK-ADVANCE AQUACLEAN CLASSIC is an electric extractor. 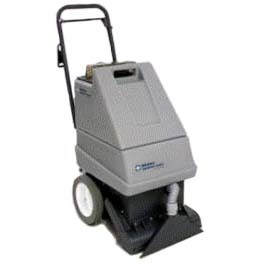 This unit increases productivity and drives down the cost to clean by combining carpet extraction and spotting/upholstery cleaning in one machine. The NILFISK-ADVANCE AQUACLEAN CLASSIC features an aerodynamically engineered vacuum shoe that provides improved water recovery and faster dry times.